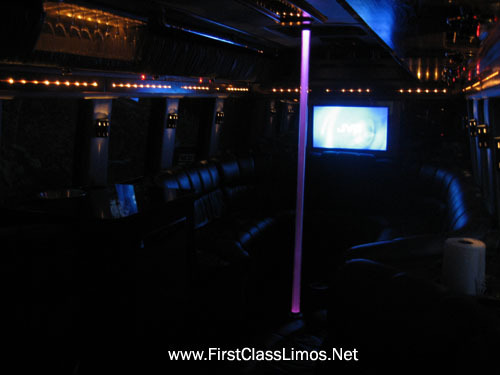 Features a Big PLASMA screen TV, lighted dance pole that changes colors, mirrored ceiling, granite bar area with refridgerator, cd player, DVD player, xbox system, subwoofers, and more! Lots and lots of room inside! Call about our night out discount specials! Sunday - Thursday is our Night Out HALF PRICE SPECIALS! This can be as low as $25 to $30 a person for 20 people. Ask about our Friday discounts! Weddings: Saturdays starting at $794 plus tax/tip for our 5 hour minimum package. $974 plus tax/tip for Columbus/Pittsburgh/Toledo. "Red Carpet Rollout" for pictures! Wedding dates go extremely fast. Most of this years wedding season is booking up now. Please call to check on availability for your date. 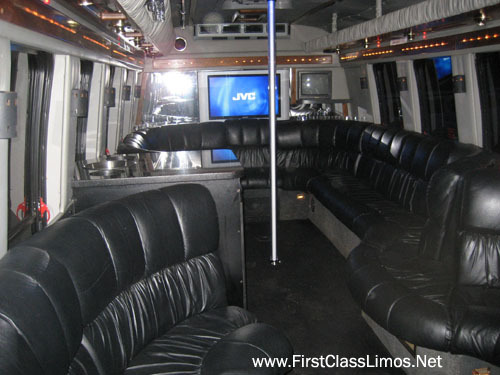 We also do offer our Ultimate Wedding Package, have the limo all day at your disposal, 9am-midnight. Transfer guests, use it to go to the hair salon, pick guests up from the airport, anything! Includes 2 complimentary honeymoon airport transfers with the rental. $1699 plus tax and tip. 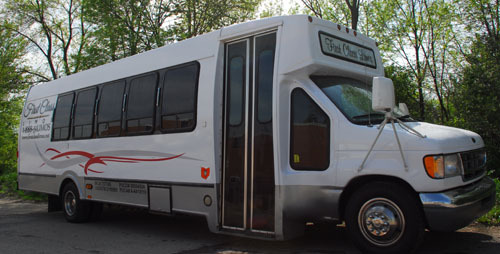 Ask about our After-Reception pickup for the bride and groom or whole wedding party. Starting as low as $75 plus tax/tip. Next Day Honeymoon airport transportation as low as $60 plus tax/tip. Ask about our new All Day Prom Package! 2pm - 5am, have the limo at your disposal to go and get your hair done, take you to prom, to after prom and home from after prom! Just $96 per person when splitting the cost between 20 people! Cleveland, Ohio, Akron, Canton, Youngstown, Toledo and Columbus Ohio. Erie and Pittsburgh PA Pennsylvania.